Editor of BBC disability website Ouch! The use of that word is completely unacceptable, whether it's intended to be 'ironic' or not. Nor is it, as the author contends, his word simply because he too has a disability. I'm sure Tiger Woods didn't think about its true meaning when he uttered it but if we allow its use without comment it will gain currency, as will the message that it's OK to make fun of people just because they're different. It's wrong, pure and simple. The word "spaz" was common currency in UK playgrounds by the early 1970s, long before any Blue Peter stories. I agree completely with Damon Rose that the way a word is used is the most important thing, although often who uses it has a big effect. I have an artificial leg and was nicknamed "Peg" at school. When my friends used it I didn't mind, but when other people used it to tease me I hated it. The word "cripple" is generally a lot worse, but I'll use it ironically at times to subvert people's meanings or draw attention to their subconscious attitude. Re-inforcing a negative stereotype is never acceptable even if the victim accepts the abusive comment. It is still abuse. Great article. The fact is there are times you can use a word and times you can't. I would probably be far more willing to ironically call a disabled friend a spaz than to use it anywhere else. 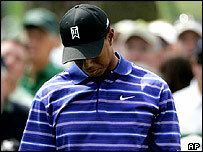 Why should Tiger Woods be made to apologise for something that had absolutely no negative intent? This is another shining example of political correctness gone too far. Surely the reactions of agencies such as ADAPT have only served to make a mountain of a molehill, while those with disabilities are saying to the tv screen "none taken"? If the use of the word "spaz" has caused offence, who has caused it the most - Tiger Woods who said it in the first place but reached a relatively small audience thanks to the US media, or the BBC who have blown the whole thing out of proportion and have made sure that everyone in the UK is now aware of it? 'Idiot' was once a term for people with learning disabilities, now it has lost that meaning. I doubt 'spaz' will ever become a readily used term and will fade away. As will 'scope-head' which I believe is now a term of abuse in some playgrounds across the country. However, until then it's probably better to find a derogatory word about oneself that doesn't refer to derogatory stereotypes of others. What grated on me the most was what Dame Tanni Grey Thomson said yesterday on the matter. "You know he's not one of the rough football players who's gambling and getting drunk and being in clubs, you know he's quite a straight guy." I'm wheelchair bound; like gambling, drinking and going to clubs. I'm offended that she used the things i like to do in a dergotory way. Will she be made to apologise along with Tiger for the offence caused? People should say what they want to say, offensive or not. Who's problem is the offence? I certainly have no guilt offending anyone, its my life and I will say what I want. Speaking as an American, I was shocked to read this article and find that Britons use "spaz" to refer to cerebral palsy. Over here, it's a very mild insult used generally to refer to someone who is uncoordinated or graceless. There's no implication of a physical handicap. What this article really demonstrates is that Europeans once again have failed to appreciate that Americans have their own culture. Saying that people who aren't disabled can't be offended by such words is like David Brent in The Office claiming that white people can't be offended by racist jokes. Words carry a lot of meaning, historical baggage and emotional impact. Please use them with more respect. I take the point about minority groups reclaiming offensive words but Tiger is not, as far as I am aware, part of the group in society to whom the word "spastic" was once applied. To me thinking "spaz" feels wrong - let along saying it in public during an interview. My 11 year old son has Asperger's Syndrome and frequently finds it difficult to understand other people's actions and comments. For the past few weeks a small group of slightly older kids have been calling him a 'spaz' at every opportunity. While he may not fully understand what a 'spastic' is he does realise that the phrase is being used to hurt him and he is becoming very upset about it. I can understand you colleague becoming upset at you calling you friend a 'spaz'. I would too as I know the hurt it causes my son when it's used. I'm offended that you were offended that your non-disabled colleague was offended. A comment does not have to be applicable to you for you to find it offensive. I'd probably ask you not to use such terms in front of me in just the same way I'd ask you not to use racist or homophobic terms, even though I am white and straight.